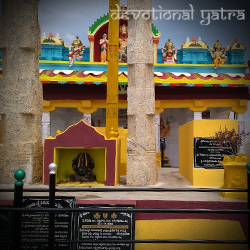 Subramanya Swamy Temple Pampanuru is located at Pampanur Village in Atmakur Mandal in Anantapur District of Andhra Pradesh State. Moreover, the temple has the idol of Subramanya Swamy. Earlier there were many saints penance at this place. So far, there were many temples located in this place. During (1509-1530) AD, Sri Krishna Devaraya’s raja guru named Sri Vyasaraju placed Subramanya Swamy idol here. Next, the glory of the temple decreased. 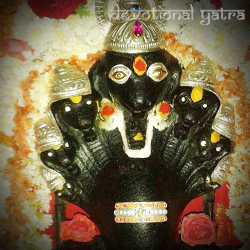 During 1980-1990 the temple regained its glory by daily poojas and in 2008 Ganapathy Sachidananda Swamy built Lord Shiva, Goddess Parvathi around this temple. To be sure that this temple opens at 7:00 AM and close by 7:00 PM. By Air: The nearest airport is Bangalore International Airport and it is 185 km away from the temple. On Rail: However, the nearest railway station is in Dharamavaram junction railway station. It is 46 km away from the temple. By Bus: Atmakur APSRTC Bus Station, Bellary APSRTC Bus Station, Anantapur APSRTC Bus Station are nearby by Bus Stations to Pampanur.APSRTC runs Number of busses from major cities to here.